In June Streets.mn reported that Minneapolis might drop parking minimums for residential developments near transit stations. By doing so, the city would promote walkable development and reduce housing costs. This move to reduce parking requirements in multi-family development along transit corridors is a good idea–not just for portions of the City, but for the City as a whole. 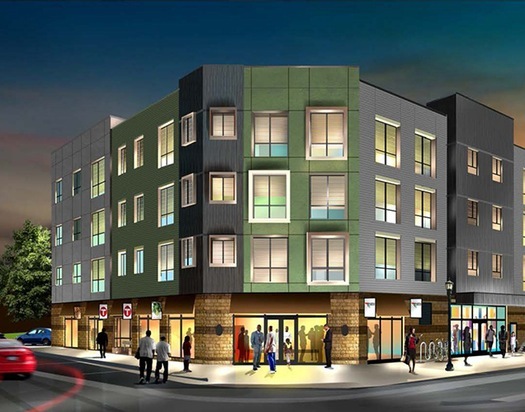 North Minneapolis, particularly Camden, needs multi-family development. Being exempt from the parking ordinance — increasing development costs by hundreds of thousands to millions of dollars — will keep developers from considering Camden. Creating housing opportunities along transit corridors will give residents more options for housing and more options to use alternative transportation modes. Let’s be very clear here: If we don’t create more multi-family housing options with greater density, increasing the population along our transit corridors, we will not get those improved transportation options. Elsewhere on the Network today: Greater Greater Washington looks at road projects Maryland Governor Larry Hogan plans to build with funds that were supposed to expand transit in Baltimore and DC; Human Transit says LA might beef up bus service in some parts of the city, but will have to do so at the expense of lines with lower ridership; and Rebuilding Place in the Urban Space reports on a misguided campaign by DC pedestrian advocates to remove unmarked crosswalks.